Stress analysis plays important roles to define an impact of loads and constraint to parts. By doing stress analysis, a form of stress, deformation and safety factors can be review. The training will utilized tools stress analyis on Autodesk Inventor to simulated the forced or pressure to the part and review the result. 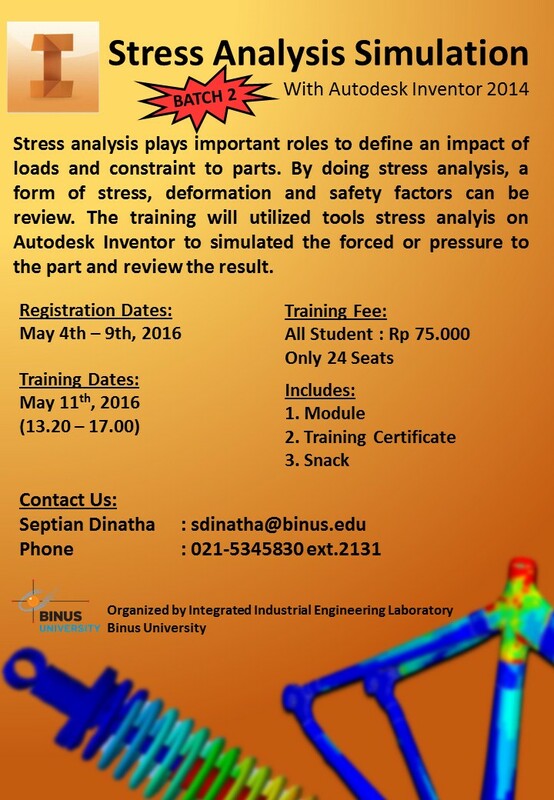 Second batch training will be held on May 11th 2016 at Integrated Industrial Engineering (IIE) Laboratory with “Stress Analysis Simulation With Autodesk Inventor 2014” as the theme. 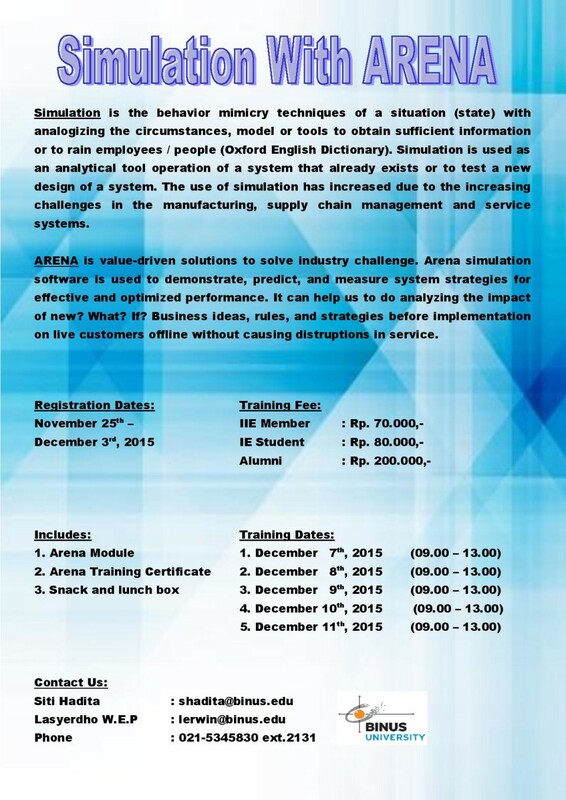 Please contact us through iesecretariat@binus.edu. Registration will be close on May 9th 2016.